A group of 8 Rajasthan based tour operators left today morning for a FAM Tour to a large number of heritage properties in the State. The objective is to see the up-gradation and renovation made in various heritage properties. This will enable the tour operators to market these properties more effectively to the tourists and visitors. This was informed by the Senior Vice President, Rajasthan Association of Tour Operators (RATO), Mohan Singh Mertiya. The visit of the tour operators has been organized by RATO along with the Indian Heritage Hotels Association (IHHA). The group will visit Shekhawati (Nawalgarh; Alsisar, Mandawa) Bikaner; Jodhpur, Rohet, Pokaran and then reach Jaisalmer on 2 September for the IHHA Annual Convention. At the IHHA Convention the tour operators will have B2B meetings with heritage property owners. This was informed by the Convention Chairman, Rajendra Singh Pachar. On the way back the tour operators will also visit Khejarala; Nimaj and Pushkar finally to reach Jaipur. 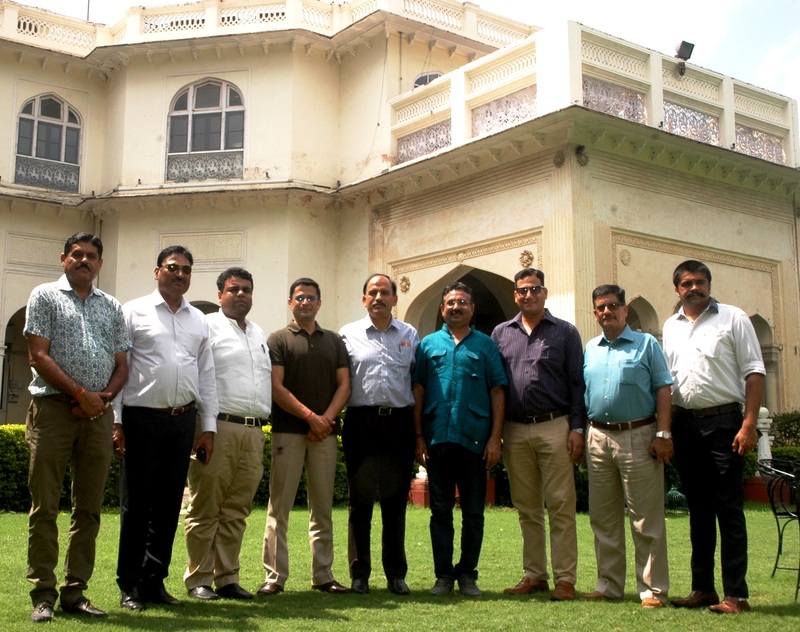 Yesterday they visited the Jaipur heritage properties. Pachar explained that enough attention and time was not given by tour operators to heritage hotel owners at events like Great Indian Travel Bazaar and other such travel forums since they have to compete with larger hotels and prestigious chains. This visit will be entirely focussed on the heritage hotels and has been organized for the first time. It is to be recalled that 6th Annual Convention of the Indian Heritage Hotels Association (IHHA) will be inaugurated at Suryagarh in Jaisalmer on 2 September. The theme of the Convention this year will be ‘Harnessing Heritage to Tourism Advantage’.